大致上來說, 整個飯店的感覺都很好, 服務佳房間舒適, 餐點也好吃. 唯獨離市區遠, 而且計程車真的很難叫, 如果打算來這邊住, 就是要走悠哉的鄉村生活, 不要再往市區跑囉! Rooms were terrific, great size and well appointed with a comfortable, king-size bed and dark curtains. Very quiet place with a nice pool and environment. Lovely private garden view from the room. We were visiting family quite close to the hotel, so it suited us, but we couldn't work out why others would come to stay there. It is quite some distance from Chiang Mai, although they did have bicycles and scooters to hire. Breakfast was limited. Coffee was instant only. WiFi was ok when functioning, but it dropped out for about 12 hours while we were there. Limited English spoken by staff. All up, we enjoyed our time at the hotel and would stay again if we returned to visit our family. An amazing family trip. Thank you to their wonderful manager Bow made us feel like VVIPs. We arrived late on our first night and were starving, unfortunately everything is closed but Bow managed to find us an great Thai restaurant and even drove us there herself. 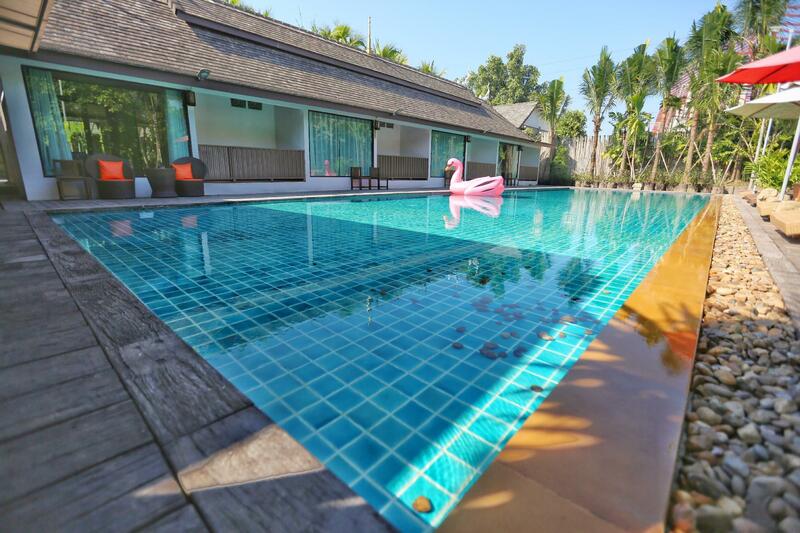 The rooms are nice and clean, the pool is perfect for a family of 6 to hang out all day. The only downside is the construction for their expansion is a bit noisy at times. All in all a memorable experience and great value for money. 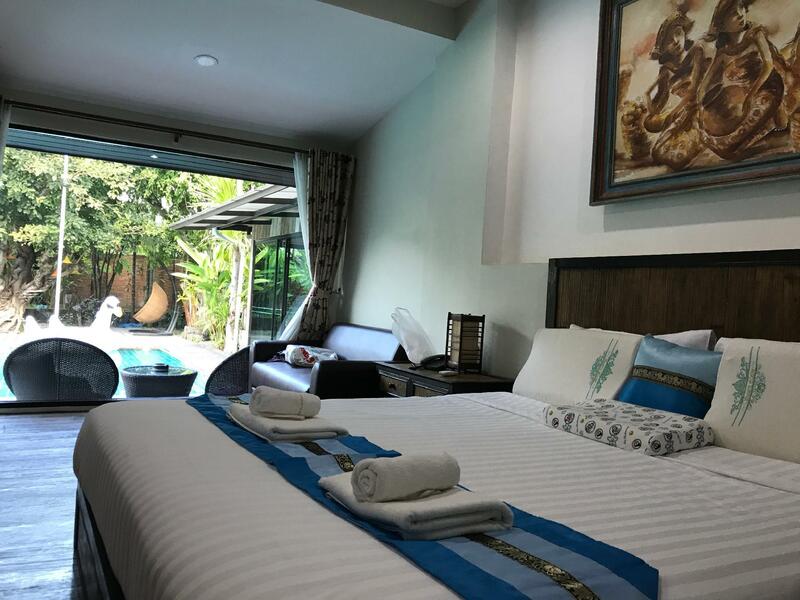 Friendly staff, Amazing resort, Good food, Big rooms, Good bathroom, Big swimmingpool, Good taxi service, Everybody who want a nice hotel for a good price! Location is far away from everything. A car or a motorbike is a need. Do not go around with bicycle, as Thais around are reckless in driving. Breakfast quality is terrible. Just only Nescafè coffee and tea. Only 3 breakfast set available, 2 of them only with Thai food. The third day I bought my breakfast from outside. Staff is very kind, but the girl at reception forgot to give me back my departure card along with my passport. I had to go back there three days after my check out to got it back. Lucky I was still around Chiang Mai area. The girl forgot the departure card in the photocopy machine and she told me that was not a big issue because so many foreigners forget it and never telephone back to hotel. That was a huge lie, beacuse without your departure card you must make a report at Thai Immigration Office, otherwise is pretty difficult to leave the country. That behave of the above girl was very very stupid. She knew she was holding my departure card and she didn't even phoned to me. Just because she didn't care. Disappointing. About TV in room : so poor. Just only local Chiang Mai local channels. Not even Thai national tv channels. That's first time in my life to do not have even one channel in english language. Answer from staff has been : it doesn't matter, Have only Chinese here, nobody cares about tv. I strongly suggest to the owner to fire that girl working at the hotel reception. She's a danger for his business. 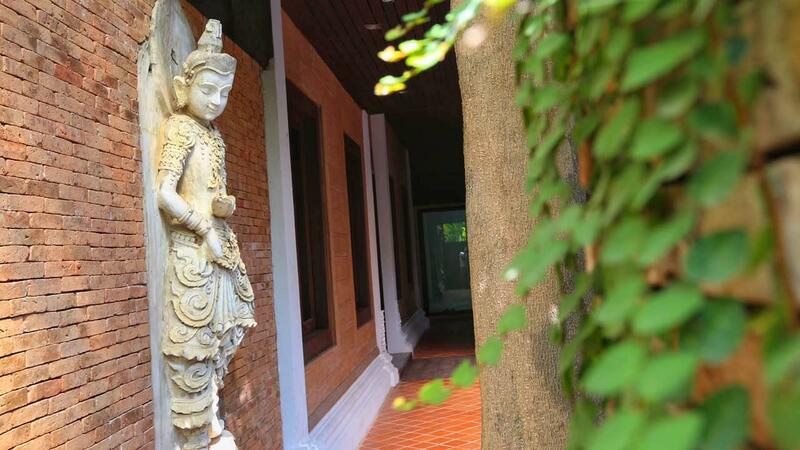 2,500 THB for one night there is a total waste of money, as there is The Marnadee Resort 5 km. away on the same main road. I'll never go back. Resort is quiet. Good for rest and relaxation. Far from city centre. 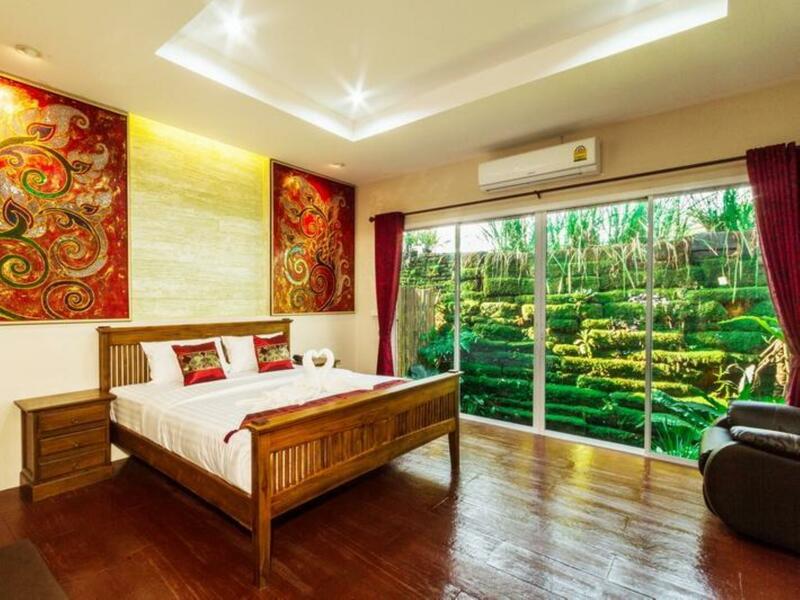 Staff was very helpful, the location is very beautiful, a little bit far from the city but for us was exactly what we need for a beautiful holiday.